Exhibitions are not only about standing out from the crowd but also about drawing a crowd and our Indoor Dodgems do just that. With the ability to custom brand your cars you can be the be the main attraction at any exhibition ensuring every visitor passes by your stand at least once – and more likely will return again and again! 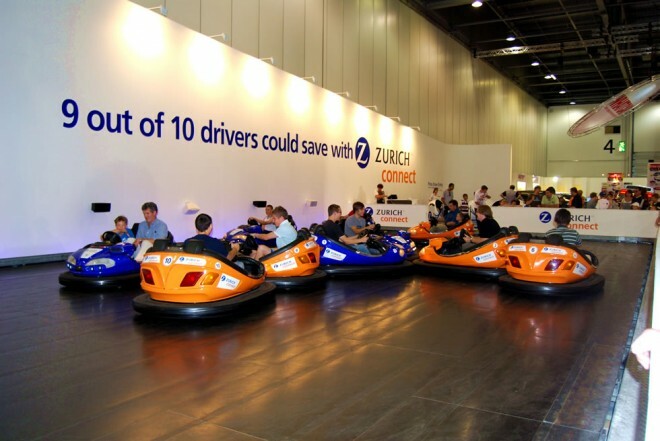 We have provided indoor dodgems for many event and every time they have been a success. With a full range of track sizes available we are sure we can cater for most exhibition spaces. Hiring indoor bumper cars from Irvin Leisure could not be simpler as we provide the transport, assembly, professional and experienced operators as well as £10 million public liability insurance. Irvin Leisure provide a fully managed and professional service unlike any other in the business. For more details please contact us using the form below. These indoor dodgem cars are so versatile they can be used for almost any event from private parties to family fun days and corporate functions. If you are planning an event inside or in the winter and cannot rely on the Great British weather to be kind, then indoor dodgems will give you all the fun of the fair in the safe, dry comfort of your event hall. 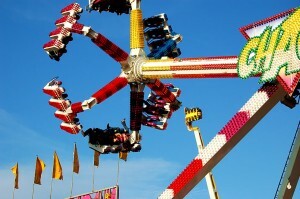 Irvin Leisure can manage the whole process from enquiry through to transport and assembly, operation and clear down – it really is a simple, no-fuss way to take take your event to the next level.